The WHO target for the global eradication of polio may continue to be missed, with the media, the international community, planners and medics underestimating the complex dynamics of the disease. Thomas Abraham, director of the Public Health Media Project at the University of Hong Kong , told a session on ‘Underground Epidemics’ that the paralysing disease is continuing to evade deadlines set by the WHO to consign the disease to history, partly because of the failure to see polio as an epidemic requiring more serious and urgent action. Abraham said that while the WHO is concentrating its efforts on vaccination in the endemic countries of Afghanistan, India, Nigeria and Pakistan, the disease is busy spreading to West and Central Africa from Nigeria, seriously eroding gains. And a serious funding problem has arisen, he said, with donors and countries committing only 60 per cent of the money needed to fight the problem. 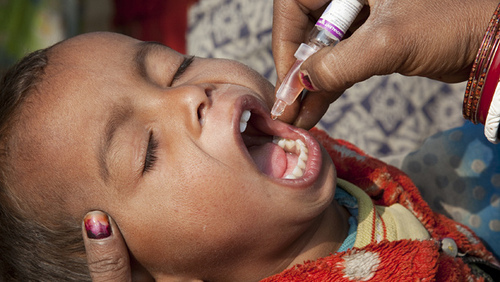 Currently a gap of US$665 million exists, jeapordising the Global Polio Eradication Initiative’s final push to eradicate the disease by 2012. This entry was posted on Monday, June 27th, 2011 at 1:35 pm and is filed under 7th World Conference of Science Journalists (WCSJ2011). You can follow any responses to this entry through the RSS 2.0 feed. You can leave a response, or trackback from your own site.